All our books are available to buy worldwide from a range of sources. They can be ordered direct from normal library suppliers such as Bertram books, from Amazon, or any other standard bookseller. Many are also available as ebooks. Our first book, Only connect … discovery pathways, library explorations, and the information adventure represents the richness of information discovery.Librarians, learning support and academic staff could benefit from knowing more about the pathways that learners take through academic information: how they perceive, model and negotiate the information environment. With a richer understanding of our learners’ individual journeys, we can make our interventions more relevant and more timely; we can structure our courses to allow pathfinding to develop; and we can help our learners to navigate reflectively through the sea of information. 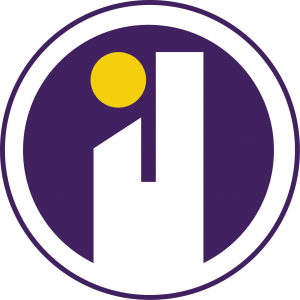 We present a range of information discovery journeys, from reflections upon formal search processes to a library fairy story. An experimental, limited edition book of teaching tips for librarians- it will only be available for a short amount of time, then may be revised (content and perhaps format) based on feedback. Feedback so far is that people like the format and content, so a 2nd edition will follow (probably late 2017) in A6 perfect bound format, slightly extended to around 100 pages. This mini-book (A6, 66 pages long) is a series of (50+) teaching tips and ideas for librarians. Most tips are just 1 pages long, making it easy to dip into and get tips and ideas to improve your teaching. The Mini Book of Teaching Tips for Librarians, standard list price £9.95. 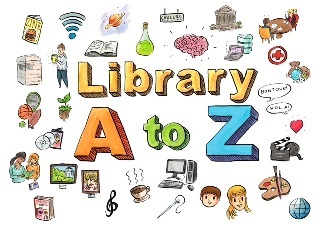 The Library A to Z book is a full colour illustrated book celebrating the wide variety of services offered through libraries. 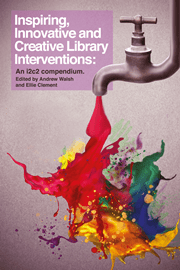 ‘Inspiring, Innovative and Creative Library Interventions: An i2c2 Compendium. Edited by Andrew Walsh & Ellie Clement. A collection of material from the i2c2, Innovation, Inspiration and Creativity Conference in 2014. Conference attendees have contributed a rich and practical selection of chapters to illustrate innovative, inspirational and creative practice in libraries, challenging us all to follow their lead. There is surprisingly little in the literature about interprofessional collaboration between learning support professionals working in HE. Moreover, there do not seem to be any formal policies or frameworks within higher education in the UK to promote collaborative working across learning support services. 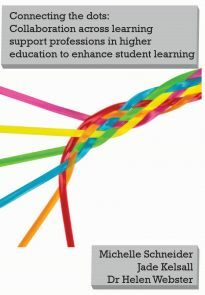 This book is aimed at learning support professionals including librarians, learning developers, and learning technologists, working in higher education. Interprofessional collaboration can take many different forms. Each of the chapters in this book reveals the diversity of contexts in which collaborative working occurs, as well as the different reasons for the development of such an approach. There is no one formula for making collaborations work. By bringing together the experiences and reflections from practitioners and researchers,this book highlights some guiding principles that can make collaborative working successful. So you have to write an essay for university? Ever thought of designing a postcard that reminded you of your essay questions, so that you wouldn’t get sidetracked? Ever thought of how alike referencing is to a forensic investigation? Ever thought of analysing the type of source you were using by likening it to different types of sea creatures? This book introduces all these strategies and more because essay writing isn’t just about writing. It uses visual analogies to explain all the bits that go into researching and writing at degree level – particularly those steps that often remain hidden to students at their first try. Going through the book step-by-step you are taken through the process of putting together your own research essay, not unlike a painting-by-numbers approach. Writing Essays by Pictures explains the basics of academic research to the beginner – and to people who have always wished for a way to make these things visual… and fun!